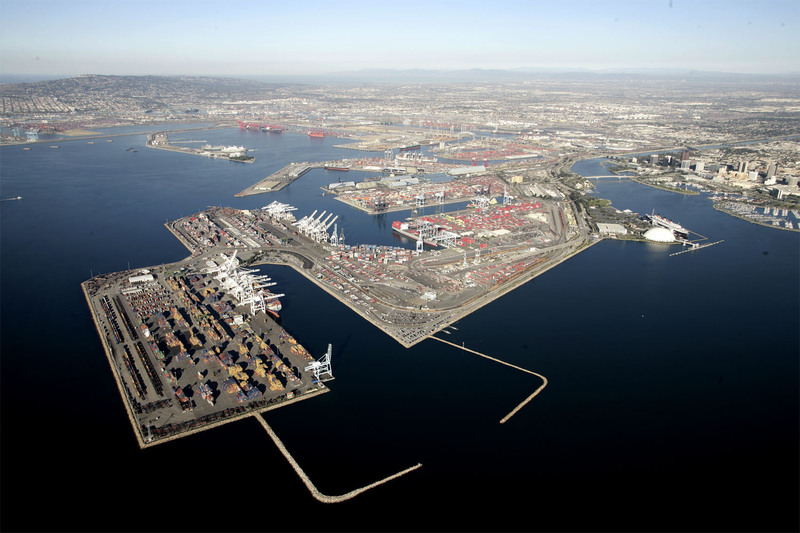 The U.S. Environmental Protection Agency has awarded more than $6 million in Diesel Emission Reduction Act funds to public and private partners at the ports of Los Angeles, Long Beach and elsewhere. The Diesel Emission Reduction Act program, administered by the EPA’s West Coast Collaborative, leverages public and private funds to reduce emissions from the most polluting diesel sources in impacted communities. It was announced this week at a meeting of the International Commission for Environmental Cooperation in Long Beach that the funds will be used to retrofit and replace old, polluting diesel vehicles and equipment, including school buses, trucks, agriculture and port equipment and generators. The South Coast Air Quality Management District was awarded a $523,809 grant to be combined with about $2.2 million in local funding to replace one pre-model year 1973 diesel switch locomotive with a new, cleaner Tier 4 diesel locomotive that will operate at the Port of Long Beach (POLB). The City of Long Beach Harbor Department was awarded a $1.4 million grant to be combined with about $1.9 million in funds from the Long Beach Container Terminal Inc. to replace five existing diesel-powered yard tractors at the POLB with electric automated guided vehicles used for handling cargo there. The California Air Resources Board was awarded a $539,412 grant to be combined with $371,168 in state funding to retrofit 41 heavy-duty diesel school buses that operate throughout California. The City of Los Angeles Harbor Department was awarded an $800,000 grant to be combined with about $2.2 million in funds from APM Terminals and TraPac, LLC. to replace 16 yard tractors with cleaner Tier 4 models and re-power two heavy lifts with Tier 4 engines used for handling cargo at the Port of Los Angeles. Funds will also be used for projects in Arizona, Nevada, Hawaii, American Samoa and elsewhere in California.